Had a mishap, fell off the road on a downhill left bend covered in ice (Cabin Creek Road approaching I89S). Hit the left hand front wheel & cycle wing on the right rear of a Honda Civic which had run off the road from the same patch of ice earlier than I did. Both cars stuck in the snow at the side of the road. The Civic was unhurt, but the 7 got a broken front wing, a bent wing-stay and a bent upper wishbone ball joint assembly. 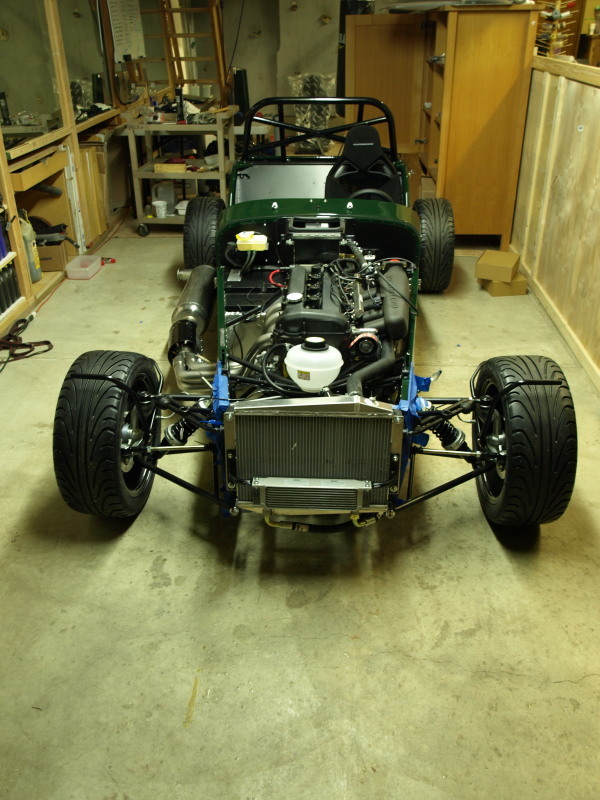 I ordered an upper wishbone ball joint assembly from Jon/ Caterham USA. I going to try & fix the wing & bend the wing-stay back. 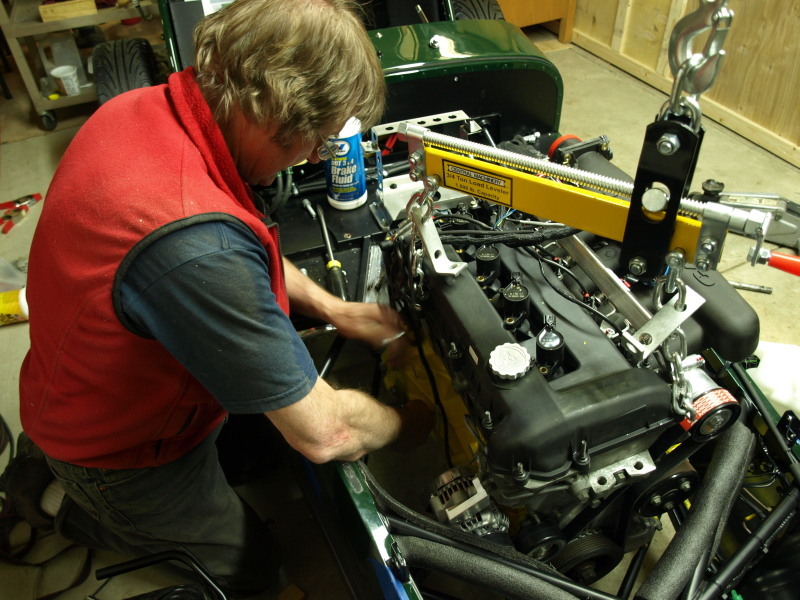 Started off this evening by tightening the engine and gearbox mounts. The wire harness connection is set up for an alternator mounted on the left side, mine is on the right and the connector could not reach. I cut off the connector and extended the wires by soldering in an additional 2 feet, with shrink wrap and black insulating tape to make it tidy. Plugged in the alternator connector and the crank position sensor and cable tied the wires down so they don’t get into the front belt. 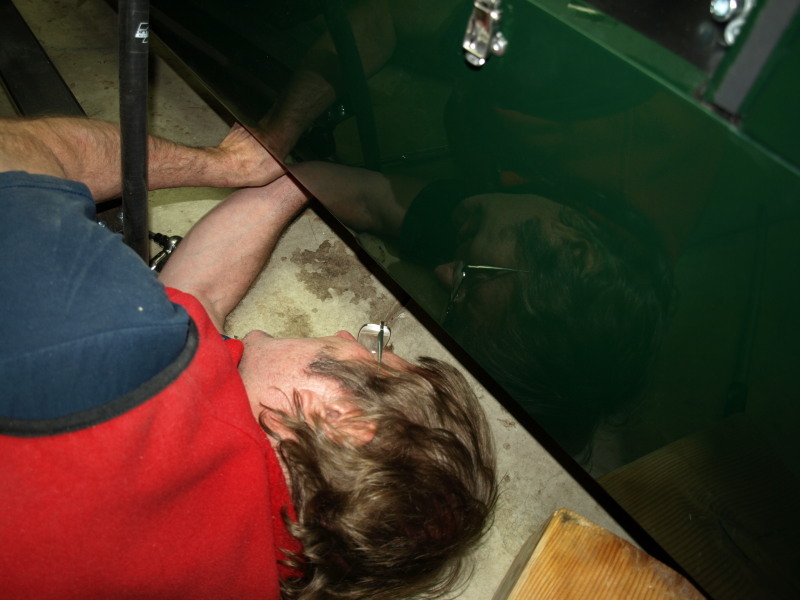 Installed the heater by bolting it in from under the scuttle, another yoga exercise to get it all together. 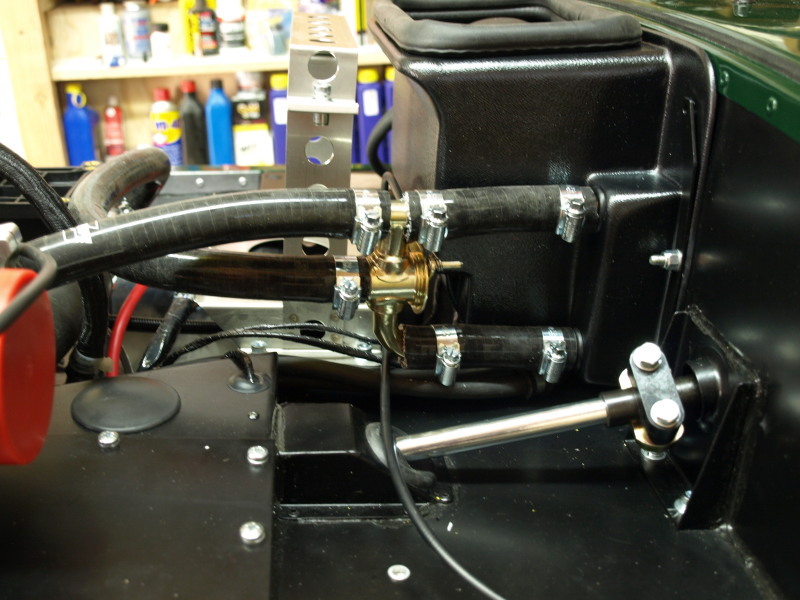 Then I plumbed in the heater and all the smaller diameter cooling system hoses. Installed the headers onto the cylinder head with gasket inserted, the first 3 went through the designated hole in the bodywork, but the forth one took some ingenuity (reminded me of the puzzle to separate 2 bent nails). Loosly tightened the bolts, then fitted the catalytic converter. Its held on by 2 springs – this was another brute force exercise. Torqued up the cylinder head bolts. Fitted the shield with jubilee clips. 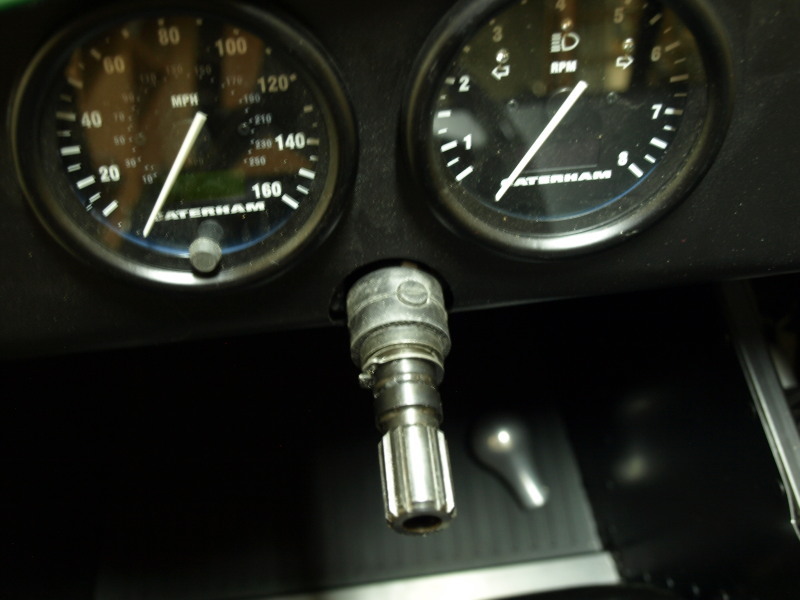 Bolted in the Lambda sensor. Then fitted the silencer. I noticed that the steering wobbles a bit and I found a teflon bearing with rubber surround in my left-over parts pile. 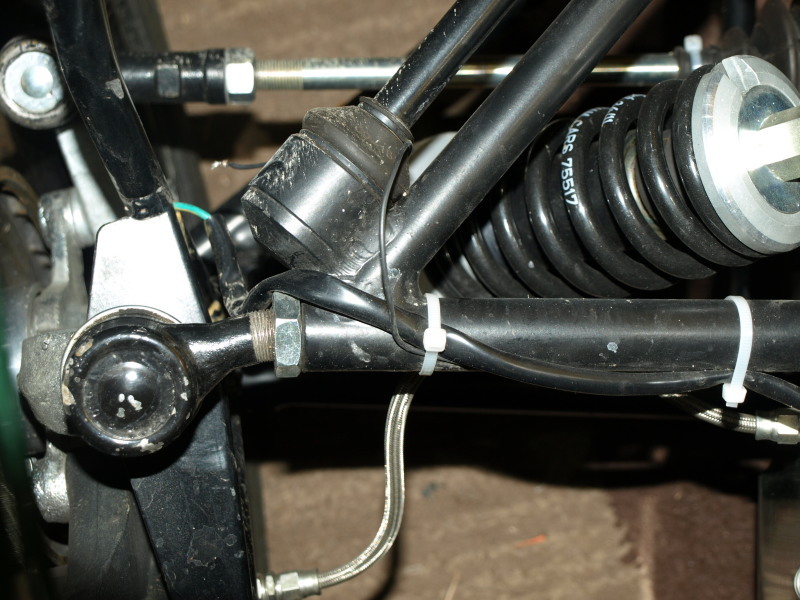 Its the same diameter as the upper steering column. I tried to fit it but only managed to get it in a little way. It steadies up the steering wheel. Just have to figure out how to get it in all the way. Last job was to put the battery on charge after Alex had topped it up with acid. Is a car female? (like a ship). My old Mini definitely was, Dot called her “Jemima”. Hence the reference to she in the title. Also we were working very late and fixed the last bolt at midnight. Bridge is the engine hoist. FYI, the title is a line in a rugby song that I used to sing after rugby games when I was much younger. 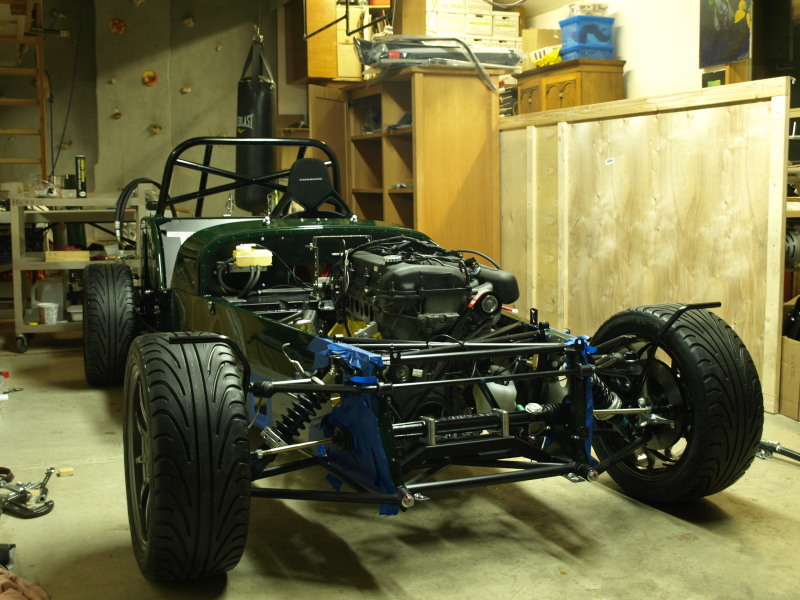 This evening’s goal was to get the engine into the car. 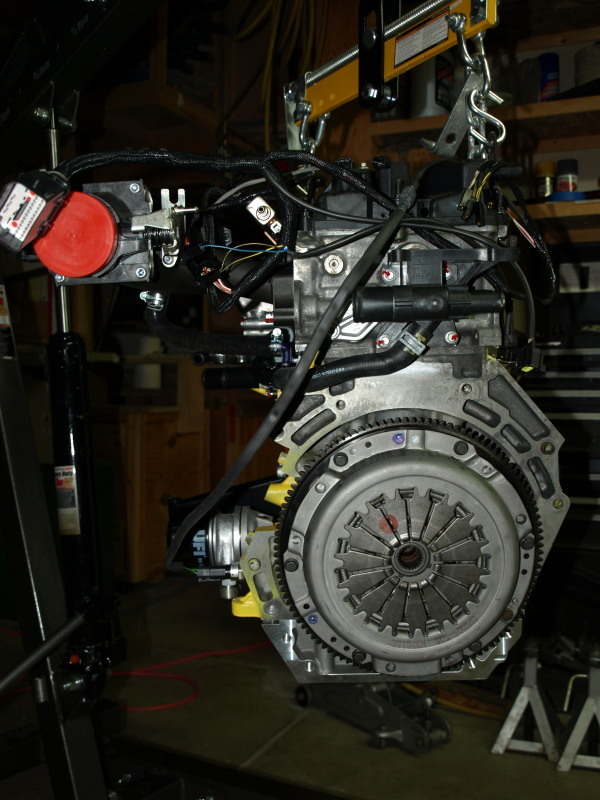 First was to install the flywheel and torqued it up, then the clutch & pressure plate. 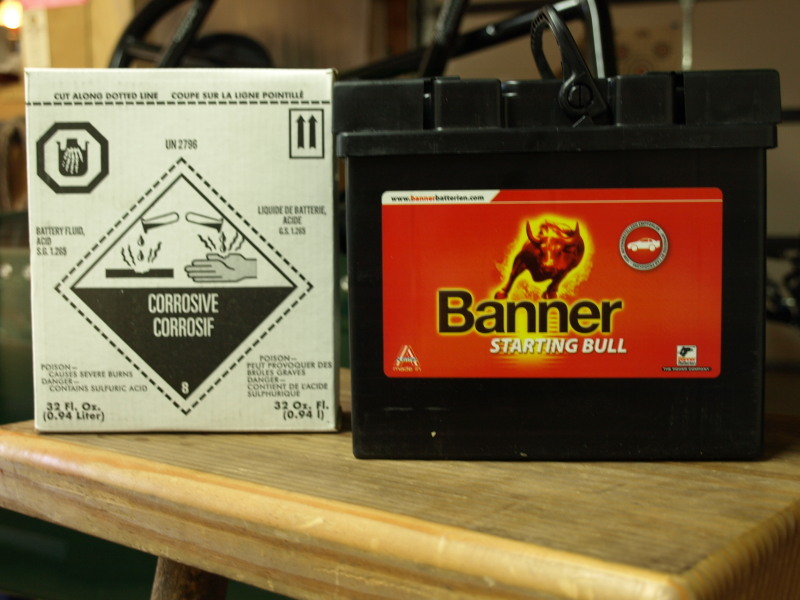 Meanwhile Alex was pouring acid into the car battery, which had arrived in a dry state in the kit. 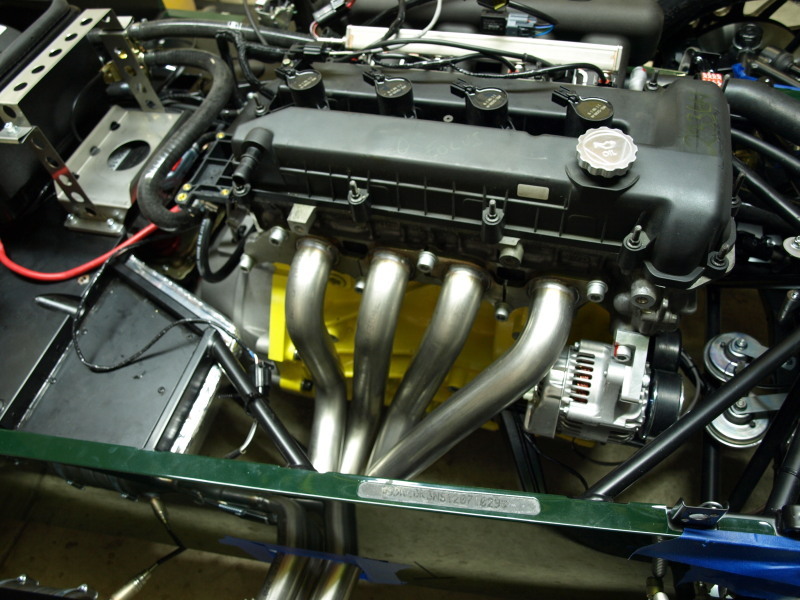 When we were both done we hoisted the engine and started lowering into the engine bay. Remember that I had previously installed the gearbox into the car. It was a tight fit all around. Alex had to remove the right side engine mount from the engine. 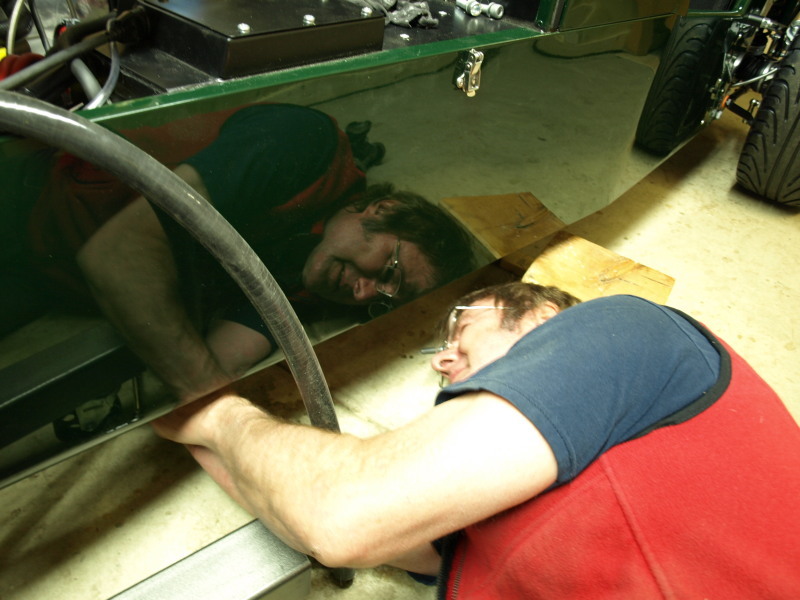 It was tricky to align the engine to bell housing, eventually we got a couple of very long bolts in, and started pulling 2 halves together. But it was hard work, and it was clear the gearbox shaft had not gone into the clutch splines correctly. After an hour or so of screwing in & out various screws, jiggling the engine & moving the car (in-gear) back & forth, we heard a ‘twang’ sound and everything got easier. Then it was a case of putting in all the bell housing screws, then get the engine mount in place. 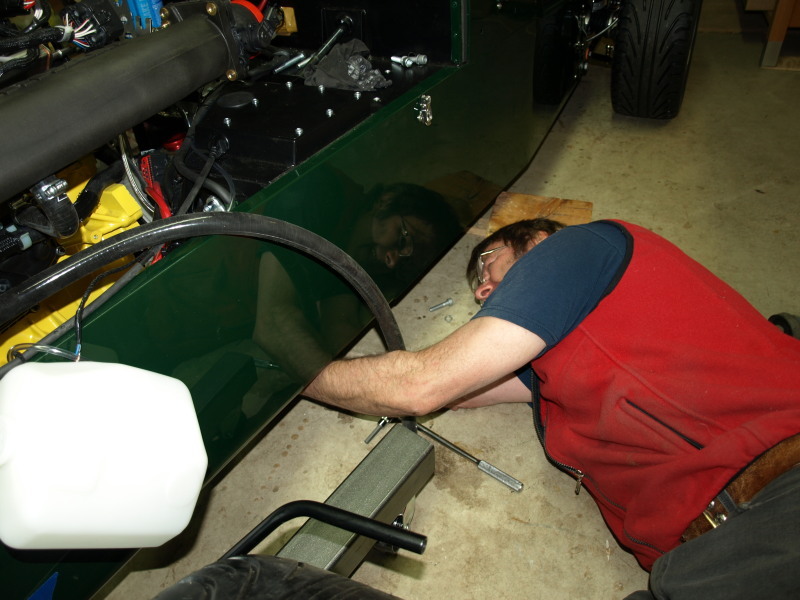 Got the last engine mount bolt in place about midnight. After many years, I finally decided to get myself a 7. 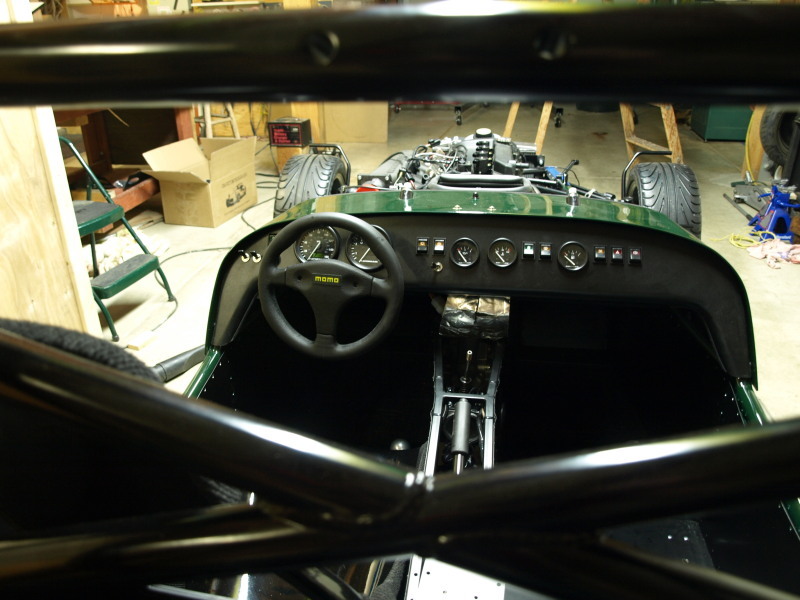 The 7 was designed in 1957 by Colin Chapman, the founder of Lotus. 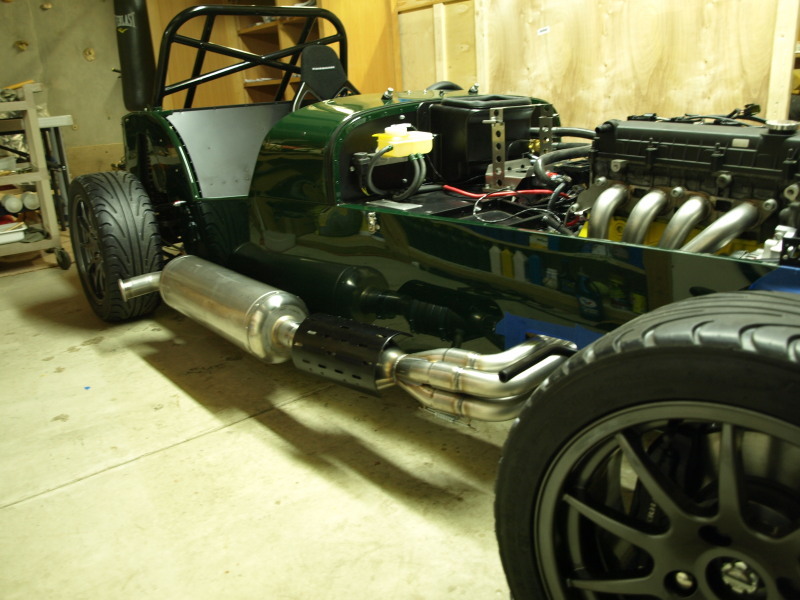 It was originally known as the Lotus 7. 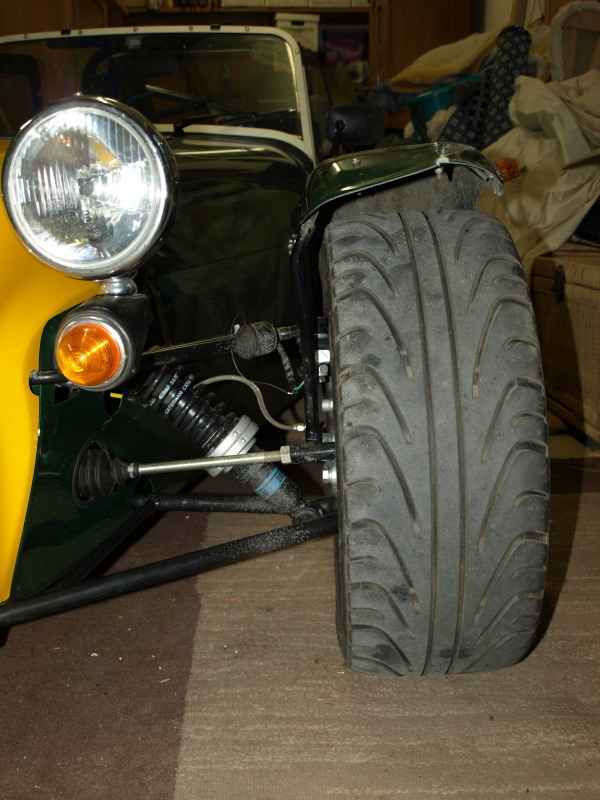 In the 1970’s rights to the 7 were sold to Caterham, who now sell the 7. Actually you get to buy a kit of parts and you have to build the car yourself. 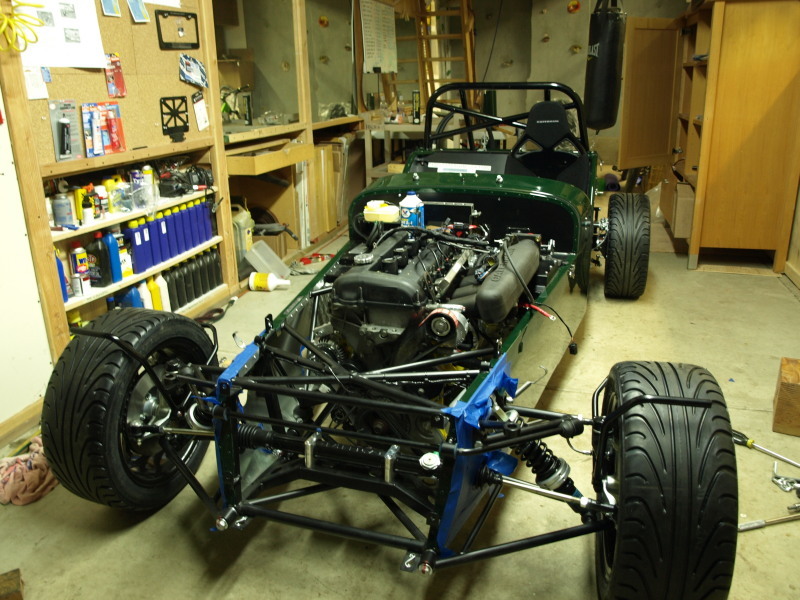 This blog shows the path from taking the test drive through car building and finally driving the completed car. Most of the construction happened in April & May 2013. Posts are chronologically ordered, the earliest starting at the bottom. So, if you want to read from the beginning, then scroll way down. Alternatively, select from the Categories or Archive menus. I also went though some of the older posts and added some Hindsight comments in italics.